The cartoon depicted Williams jumping above a broken racquet next to a baby's dummy in the US Open final. The Australian Press Council noted that some had found the image "offensive", but accepted the publisher's defence. 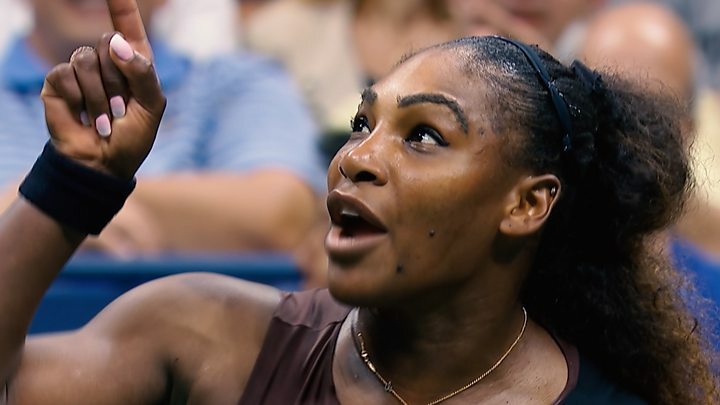 Williams sparked controversy during her loss to Naomi Osaka in September for her on-court behaviour where she accused the umpire of sexism and being a "thief". The Herald Sun newspaper and cartoonist Mark Knight have consistently called their depiction a comment on Williams's behaviour, denying it was racist or sexist. The press watchdog said the newspaper had "sufficient public interest in commenting on behaviour and sportsmanship". The cartoon went viral in September, drawing criticism globally. The National Association of Black Journalists in the US denounced it as "repugnant on many levels". Public complaints centred around the portrayal of Williams with "large lips, a broad flat nose... and [being] positioned in an ape-like pose", said the watchdog. This contrasted with the depiction of Osaka, whose father is Haitian and mother Japanese, "as white with blonde hair". However, the watchdog ruled that the cartoon did "not depict Ms Williams as an ape, rather showing her as 'spitting the dummy', a non-racist caricature familiar to most Australian readers". Knight told the Australian Broadcasting Corporation he was "very happy" about the watchdog's ruling.